It’s funny to think of No Girls, No Telephones in the context of the fan genre, like everyone’s favorite 50 Shades of Gray, but let’s do that for just one wincingly good second. Okay. Of course, this isn’t 50 Shades of Gray. This is poetry, for one. 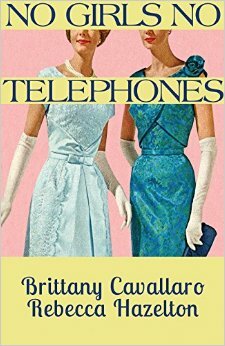 It’s a collaboration between Brittany Cavallaro and Rebecca Hazelton, two talented and accomplished poets. And perhaps most importantly, it riffs not off of a tweeny bestseller but one of the most sophisticated, startling, and idiomatic literary works of the American tradition, John Berryman’s Dream Songs. . . .